I really want to fuzz over this one and make it as brief as possible. This is unlikely to happen, as not only is the encounter quite long, the dice rolls and game decisions, and all the other behind the scenes stuff is kind of complicated. I’ve mentioned on my blog before that my regular keyboard experienced battery death. This forced me to find another bit of hardware to write with. My Alphasmart had several drawbacks, the final of which kept me from writing for days. Sometimes I just don’t want to use a particular device I own. I blogged about this before, and it’s kind of boring. The real point is that using the Alphasmart meant that I could keep two files on the same machine and flip between them. One for the encounter, and the other for the dice rolls I had to keep track of. Things didn’t start to get really complicated until I got up today, finally transferred all of my text to my PC, and got into writing the rest. First dice roll was for Edelweiss, a Perception 2 + Wits 2 check to anticipate the arm, which I made Difficult because the room was smoky and she wasn’t paying attention. 1 success each on black and white, which comes out to 0. After she won a Strength check to push him away, combat began. Neither had a ready weapon, so they each had -3 to Initiative, and -2 to their combat dice pools. With their initiative crippled like that, it was kind of interesting. Edelweiss had 3 dice, and Jimmy only 2 (in fact, he didn’t get his name until rather later), and they kept on tying for initiative. I don’t really like the game’s tie solution, which is stat-based, so I just re-rolled until someone won. It was Edelweis, with 2 successes to the pirate’s 0. The way that PC and NPC stats work, there’s really no way that the solution in the book is fair. Edelweiss’s combat roll was Swordplay 4 + Dex 2 + Initiative Bonus 2 – Unready 2, for a pool of 6. She gained 3 successes, while Jimmy only rolled 1. And oh, our Edelweiss is just that kind of girl. With her degree of success 2 + Collapsible Sword 4 + Strength 3, she rolled 6 successes. 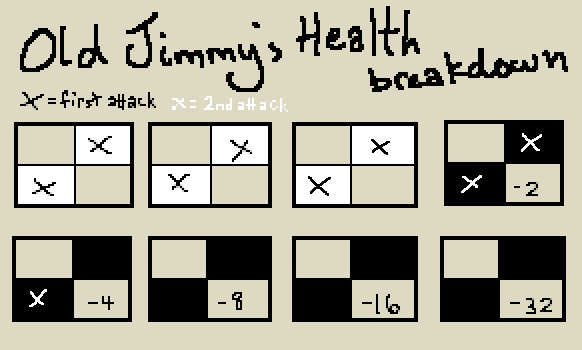 Jimmy’s health points were wiped out. But wait! The fight’s not over. Jimmy rolled a Fortitude + Resolve save (Physical 3 + Mental 2 for the NPC pirate) and succeeded. So he remained conscious and the fight would continue. Candle stuck his nose in and combat widened. I actually finished rolling Edelweiss/Jimmy combat first, because I had all the numbers in front of me, and went back and wrote everything all in order. No unready penalties for anyone this time around. Candle won initiative while Pirates 1 and 2 tied. They are statistically sameoids, so I just had them go in number order. We see the return of our old friend the Outnumbered penalty, with 3 black dice for Candle. But, he also decided to attack both of the pirates, so he had to halve his dice pool. Not too much to worry about, I thought. He has Firearms and Dexterity each at 4, plus 2 for winning initiative. That gave him a pool of 5 per pirate–but 3 black dice for each roll as well. Against Pirate 1, he rolled a success each on the black and white dice. I hate those. 0 successes. But against Pirate 2, he rolled 3 successes on white and none on black. Pirate 1 rolled 2 successes, and Pirate 2 rolled 3 successes. So, Pirate 1 got to hit. Pirate 2 tied with Candle, but because Candle won initiative, he won the round. However, he could roll weapon damage only. Weapon damage for Candle’s Heat Ray (steam) is 10 dice. Cue my grin. With his Degree of Success 2 + Cutlass 7 + Physical 3, Pirate 1 ended up with a dice pool of 12, and he whomped Candle. 5 points of damage, and it could have been so much worse. Pirate 2, we hardly knew ye. Fortitude + Resolve roll, or shine on, you crazy diamond. Technically, I’m not sure at what part of the turn characters who are into their grey dice should be making saving rolls, but I liked the drama of doing it right then, and he was going to have to make one soon anyway. Back up to Edelweiss and Jimmy. I knew he didn’t stand a chance, but he’s just so plucky. I wondered if she would really murder him or not. They both chose to slash at each other with swords–his a cutlass, hers the collapsible sword–and rolled initiative. This time, they had no penalties–except for Jimmy’s -2, thanks to being in his grey dice. However, that does not affect his initiative. And if it does, too bad, because I didn’t roll it that way. Even if I had done, he could hardly have done worse. Edelweiss rolled 3 successes, and Jimmy rolled 0. For combat, they both rolled their Swordplay skills and Dexterity. Edelweiss had the initiative bonus, and Jimmy had the “Oh I’m dyin’ here” penalty. Even so, it was a close thing. Edelweiss only rolled 1 success, but Jimmy didn’t roll any. Edelweiss’s damage roll was Degree of Success 1 + Collapsible Sword 4 + Strength 3 = pool 8. I thought that would be it for Jimmy. But she only rolled 3 successes. A pretty heavy toll to take, but he wasn’t dead yet. And he made his saving roll. All of this not-dying earned him a graphic. I was starting to wind down, and it was about time Anson came in, so after the saving rolls were taken care of, I had Anson roll a Difficult Empathy 4 + Presence 2 check. No successes on the black dice, but 2 on the white. No one was impressed, but he did make everyone stop goading the fight. I did actually make a few healing rolls, but doing it made me realise just how pointless they were at this stage of the encounter. It was technically over, so I just wrapped it up and awarded Candle 2 experience points for being awesome. I think at the end of this round of encounters, I’ll give everyone 1 fate, which I’m sure at least one of them will exchange for experience. We’ve got at least two or three trying to improve their attributes. Anson didn’t really get to do anything, but maybe I can accept this as a good place to set up whatever happens next. Edelweiss sat in a corner of the Rusty Arms, contemplating a drink. In the most literal sense. She was not the only patron bearing arms. However, judging by the density and reach of the smoke, she was the only one without tobacco. She reached up and grabbed a fistful. It remained in her hand for nearly a full second before dissipating. “Spreads.” It was a question, but only the way that Edelweiss asked it. “Oh, bless. Must be a new model, not knowing Port of Call.” He squeezed her, which was unpleasant. His breath smelled worse than his body, and the competition was quite fierce. Speaking to this man was only worsening the situation. Edelweiss stood up. He started to reach for his weapon, but Edelweiss was not about to be taken by surprise. She grabbed at her belt and drew a collapsible sword. It folded out to deadly form seconds before the accoster had drawn his own sword. His eyes could barely follow the speed with which she struck. The blade sliced through the smoke, carving a deadly trail that ended in the man’s belly. He stared down at it in dismayed surprise. “That ain’t friendly…” he said, choking on the last word. He dropped to one knee, but did not let go of his cutlass. A thrill of anticipation and respect whirred through Edelweiss’s gears. Those eyes. A wound like that had all but killed him, but he wanted to go on. She eased into a more flexible stance, half-forgetting where they were. A real fight. This wasn’t sparring, or a desperate feat. This pirate had stopped seeing a whore, and was looking at a hand with a sword. She could feel it in his gaze, that he was looking over her stance now, not her hips. Gravelly voices raised in protest and appreciation. Some cheered, but they were hushed up as men began to circle round them, like fast-moving clouds. Two men helped the first to his feet, but he pushed them away. Another man had entered the circle, although this one had come to her side of it. She sized him up. “This is not a show,” she warned him. “Never mind what they are chanting.” She indicated the crowded pub-goers with a jerk of her head. “It’s never a show.” The man, youthful in appearance, had large eyes only slightly hidden by his wild rust-coloured hair. He held up a device, similar to a steampistol, but slightly more complex, with a lens in the wide muzzle. “By the way, I’m Candle,” he said. It was a stupid joke, but Old Jimmy was already heading back to cross blades. Edelweiss started to calculate how the battle would go against two opponents, when Candle leaped ahead to position himself by Jimmy’s friends. Chivalry was such an interesting concept, she thought. Out of the corner of her eye, she saw Candle fire at both of the other men. Two blasts of heated air boiled towards his targets. His first shot went wide, allowing the skinnier pirate to strike at Candle’s leg. But his second shot hit home just before the other pirate could clip his knees. The chubbier pirate screamed and tore at his shirt. The cloth burnt away, revealing the blistered, bubbling skin beneath. Horrified gasps mixed with the general roar of appreciation. Old Jimmy didn’t seem to notice or care. He remained fixed on Edelweiss, wearing a determined smile that was marred only slightly by the trail of blood glistening on the corner of his mouth. But he made a game attempt at a swing. Edelweiss sidestepped it, but she hardly needed to. It was a shame that a man with such gumption did not have the skill to match. She slashed at his front, tearing more clothing than skin. Although he remained standing, his breathing became ragged, and the blood that had soaked his clothes was beginning to drip. “You just might be… a bit too much for me,” he said with an embarrassed chuckle. Everyone in the pub turned to see who had shouted. With her superior vision, Edelweiss could cut through the smoke to see a thin man standing on a chair. He was dressed well, but not too well, and he was holding a black bag in front of him, like a parish priest clutching a bible. Perhaps he was handsome, but he did not seem a capable fighter. The crowd murmured, but began to disperse among the tables. Some of the patrons left altogether. Jimmy laughed, then hunched his shoulders when it became a hacking cough. In a moment, the weedy man was by his side, still clutching the black bag. This one is not one of my favourites. I’m not entirely sure of why. True, it’s too long, but they have gotten progressively longer, and Candle was proof that when an encounter focuses on social interaction and is actually missing combat, it tends to take more writing to get from one thing to another. But Anson’s encounter also took me quite a while to write. I just couldn’t get into it. I actually rewrote the beginning a couple of times. Not from scratch, just very significant details changed. The initial plan did not change much–I wanted to use the game’s Perils system, which is actually just a guideline. I decided to explode something. At first, that was going to be his office, but then I realised what a deterrent that would be to the story. His office is the home of his Family, and anything affecting them all so greatly should not come before the party is all together. Anyway, once he got to the place it was safe to blow up, I ran through the Peril guidelines. The first question one must ask oneself when directing a peril, is if it can be avoided. Airship pirates are firing on the port, which is near Anson’s location. So no. Cannot avoid. Next question is how much damage does it cause? An explosion is a moderate peril, which would give it a damage dice pool of 3-6. I decided to give him a bit of a chance and give him a kind of pseudo-avoidance roll. He can’t avoid the peril, but he can avoid the damage. He rolled Wits 2 + Perception 3, for a pool of 5, and got 1 success. So he was able to hide under the table and avoid damage, but he was still in a dangerous building. While I could have made more checks on the stability of the structure or other things, it would have made for an even longer post, and it was already pretty long by that point. Dice rolls started sliding into place at this point, so it was a simple check of Leadership 3 + Presence 2 every time he tried to comfort or direct the NPCs. He tended to roll low for interactions with Morgan, while he rolled a 3 when interacting with Cass, which is why she trusted him enough to hand him her baby. Healing was one of the systems I hadn’t gotten to use yet, and was pretty much saving for Anson, because duh, he’s the doctor. His first roll, healing Morgan, was actually a regular skill check, as I did not specify stats or health point loss for Morgan. Which was lucky, as with a pool of 11, Anson managed to fumble out a single success. He gets 5 dice for using a doctor’s bag/medical kit (this basically makes it an Easy roll), to go with his Medicine 4 and Wits 2. I found it funny that his Skill Speciality for Medicine is OB-Gyn. I like accrediting his magnificently low success to that. But I did throw in another tremor just in case, and it gave Morgan a chance to explain the explosion. It’s not supposed to be a big deal. Everyone’s encounters give them something to follow up on in their personal lives, but they aren’t always big things. In this case, Anson may choose to check up on the Teech family in future, which for his character, is just as pressing as Edelweiss’s enemy-making repercussions, Surinder’s involvement with Lady Magna, Candle’s accidental “regulars”, and Jess’s rescued charge. When it came to governing Cass’s healing, I did not make up stats, but I did give her an average amount of health points (6) and decided that her injury had knocked her down to 2 health points. Anson would have to roll 4 successes out of his healing pool of 11 to heal her completely. It was amazing. I only had 9 white dice, as usual, so I rolled all nine and came up with 5 ones right off the bat, as well as 2 sixes. I re-rolled the sixes and got nothing, but then rolled the remaining 2 dice to complete the pool. They both came up six, bringing him to 9 successes. I re-rolled those sixes one last time, and one of them came up one. 10 successes. This was too cool not to make a hybrid of the success scale and healing process. On the success scale, 10 is an “amazing performance”, and 10 was more than enough to heal her lost 4 points. Most of that was spent in the quiet, underlook-able awesomeness of pulling a splintery piece of wood out of a person. Smoothly. It may be hard to notice, but he actually pulled it out in exactly the right way to avoid causing further damage. Winding down was a bit difficult, but I managed it all right, I think. Now I need to go back and make a timestamped entry for why I did not post yesterday. This was part of it, but not the whole reason. It’s kind of funny though. I miss one day, and my views go down to zero immediately. Bad things happened on muggy days. It was the kind of thing his grandmother had always said. Whenever the summer started to boil the air in earnest, the poor woman would take to her bed wailing about her nerves. Yet even after her beloved grandson had become Dr Anson Chevalier, she went on self-medicating her delicate “condition” with spirits and selective isolation. He shook his head, rubbing his eyes in a vain attempt to suppress a hopeless smile. It wasn’t the weather that was getting to him, or even the memories. He was supposed to be enjoying a day off. But there he was sitting in his office, at his desk, as stiff and reliable as ever. To call his office informal would have been to overestimate how deep an understatement could descend. It doubled as his bedroom, and the waiting area was, at its most honest, a hallway. His own bed saw more use by patients as a chair and examining table than its nominal use. Normally, his two o’clock would have been there, perhaps heading a line of forgotten appointments and walk-ins. They all needed him, and he could only pray that he was enough. Yet somehow, once a week, they got along fine without him. Once a week, he went out to a café on the border between the docks and pleasure quarter. The owner, and elderly man called Max Teech, knew him by name, and chatted occasionally about his sailor grandson. The grandson appeared to be in port that day. Anson sat in the middle of the café, waiting to see if Teech’s familial pride would incite a presentation. In the meantime, Anson held a ceramic mug and counted the cracks, stained dark with old coffee and cleaning. But after he set it back down on the table, it seemed less steady than it had been in his hand. He may have been a doctor, but he wasn’t exactly a master surgeon. He planted his feet firmly against the floor. His eyes widened. He kicked the chair out from under himself and grabbed the thick table leg to pull himself in. Scarce moments later, a deafening boom shook the café. Anson clung to his hiding place. It was several seconds before his ears recovered. The first sound he heard was a baby crying. He hauled himself out from under the table. There was nothing left of the café as he had known it. Its walls were pitted and wrinkled, as though a giant hand had tried to crush them. A woman knelt by the counter, next to the till. She was holding a cocooned infant, clearly too frightened to comfort it. “Are you all right?” Anson asked her. Her face was streaked with black, striated by jagged paths of tears. Wordlessly, she turned her body to show him where a shaft of wood had speared through her side. Somehow she kept the baby’s blanket clear of the blood. Morgan groaned again. “At least he’s conscious,” Anson said, forcing a smile. People had to smile at times like this. Morgan gave him an amiable mock-salute, then got up to start clearing debris from the door. A few more blasts sounded off in the direction of the port, as though to confirm Morgan’s bitter supposition. Anson put them out of his mind, focusing on Cass. The shaft was about as thick as her arm, splintered off from one of the beams that had held up the ceiling. She was pale, but alert. The anaesthetic in his bag would be just enough to dull the pain, but he would need to act quickly all the same. He tore off a sleeve and wrapped the cloth around the wood. Then, gauging the angle as best as he could, he pulled it out. Cass let out a gasp, but otherwise remained still. Anson moved through his carefully arranged tools like a hurried aristocrat going from salad to dessert. Time passed like condensed milk through a sieve as he cleaned the wound, stitched it shut, and finally bandaged it. All the while, the sound of Morgan working persisted in the background. “I don’t feel a thing,” Cass said, rearranging her torn blouse. “That’s the anaesthetic,” Anson said, but she went on smiling at him. “We’re out!” Glass crunched under Morgan’s boots as he stomped back to them. He looked down at Cass, then grinned at Anson. “Not bad.” He slapped Anson’s back with impressive strength.